Love is in the air… Valentines Day is right around the corner. 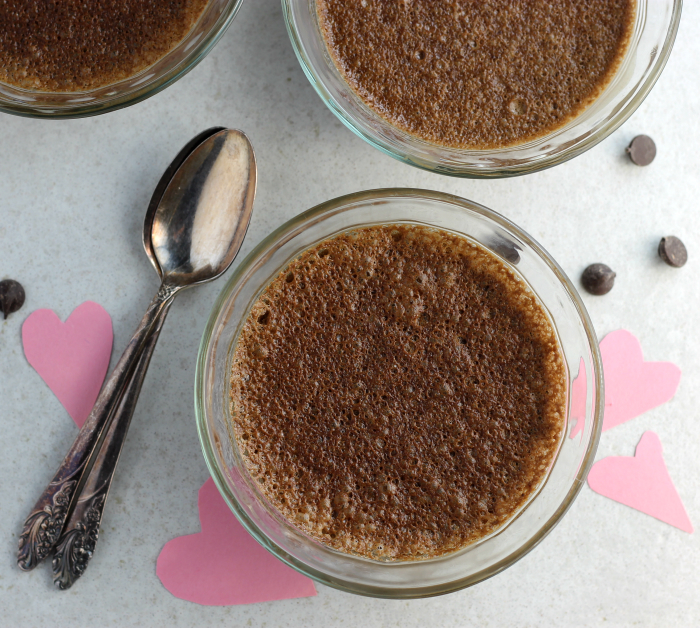 Creamy rich baked chocolate pudding is the perfect dessert for the big day. Woo Hoo, it’s Friday! There isn’t a better way to celebrate the weekend than having a chocolaty treat, at least in my book. 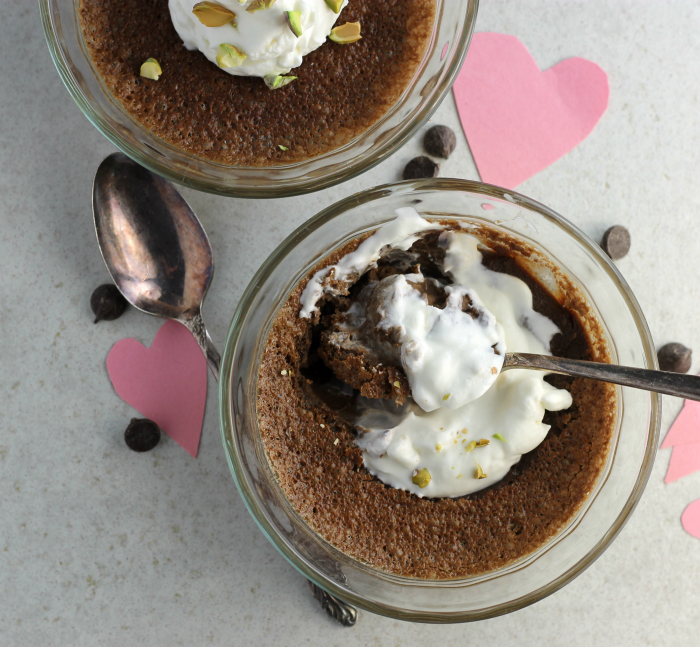 Have you ever had baked chocolate pudding?!!? It’s totally crazy yummy. 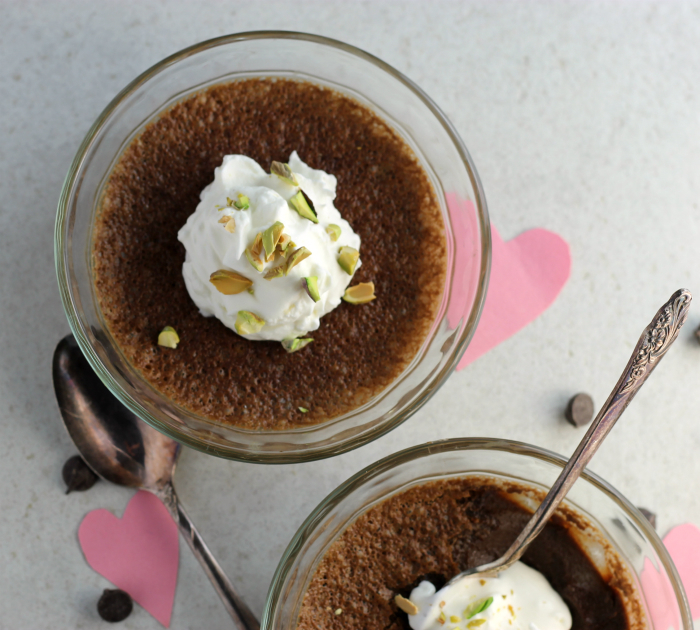 I made baked chocolate pudding a couple of years ago and it has been on my list to make it for my blog ever since that first bite. For some reason, I have never gotten around to making it again. But, with Valentine’s Day right around the corner, it gave me the perfect excuse. Baked chocolate pudding, yes, it’s baked. To me, it was kind of a crazy thing to think that you would actually bake pudding. Or is it just me? The first time I baked it, I thought for sure it would come out of the oven looking more like cake than pudding. But, wow!! It is super creamy, not cakey at all. Trust me when I say baked chocolate pudding is delicious, it really is delicious. 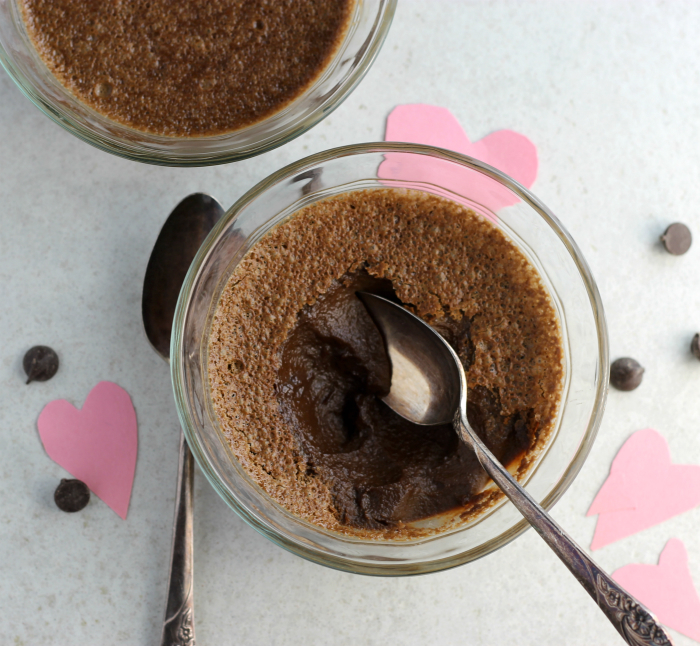 It’s not your everyday chocolate pudding; it’s so much denser and rich than that stuff. 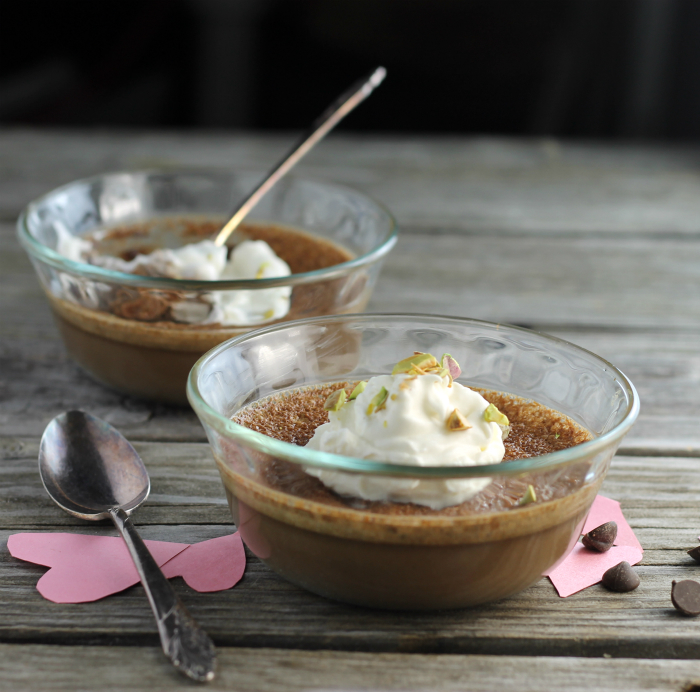 I am super excited about this pudding, I am sure that I will not forget about making it again and again. Combine the cream, butter, and sugar in a medium saucepan, bring to a simmer over medium heat. Once the combination comes to a simmer, remove from the heat and add the chocolate chips. Cover the saucepan with a lid and allow the chocolate to melt. Once the chocolate has melted mix until smooth. While the cream is coming to a simmer add the 5 eggs to a medium bowl. Beat until they thicken and turn light in color, about 5 minutes. Add the vanilla and salt and beat in. Add a few tablespoons of the chocolate mixture to the eggs while mixing. You do not want to add too much so that you don't cook the eggs. When mixing the egg mixture gradually add the rest of the chocolate. Spoon the pudding into six custard cups or ramekins evenly. Place the custard cups in a baking dish and fill the baking dish with water, so the water comes up halfway. Place the baking dish in the preheated oven. Bake for 35 to 40 minutes or until the center is just about set. Remove from oven and remove the pudding from the water, cool on cooling rack. Once cooled place in the refrigerator for an hour or two before serving. These look great for an impressive but simple dessert and love how you’ve styled them too. I adore chocolate puddings! So rich and inviting! I shall make some for my husband since he is a fan of chocolate. I am a sucker for anything chocolate!! These look delicious. Bookmarking your recipe to try soon.